The forthcoming Sony Ericsson Anzu, most likely to be called the Xperia X12 when it launches, has been put through its paces by a Russian reviewer who has managed to get hold of a preview unit. Perhaps the most interesting news is that the preview device tested out was not running Android Gingerbread OS, instead running Android 2.1, with Sony Ericsson looking to launch the device with Android 2.2 early in 2011. The Anzu/Xperia X12 will probably get an Android Gingerbread (2.3) in a later update, post-launch. The Anzu features a large 4.3-inch LCD display with 854 x 480 resolution, an 800MHz Qualcomm MSM7230 processor (the same that is found in the HTC Desire Z) and a 12 megapixel camera. The camera will also be capable of recording 720p video. Initial reports indicate that the Qualcomm chipset offers a nippy, lag-free Android experience, encoding 720p video in H264 smoothly and offering users increased playback times for audio and video. 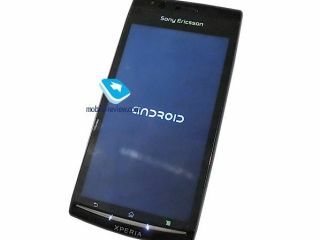 Stay tuned for lots more on the Anzu/Xperia X12 when we get the official word from Sony Ericsson.